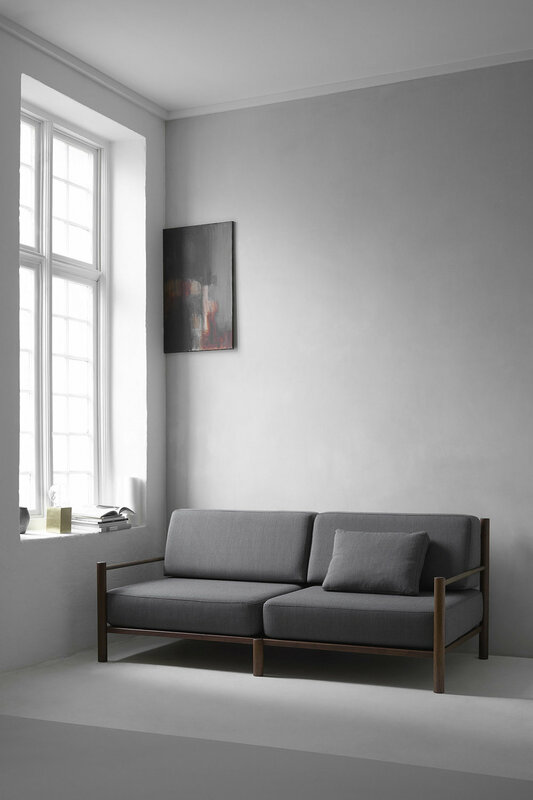 Fulton is a modern sofa inspired by classic Scandinavian shapes with modern industrial accents. 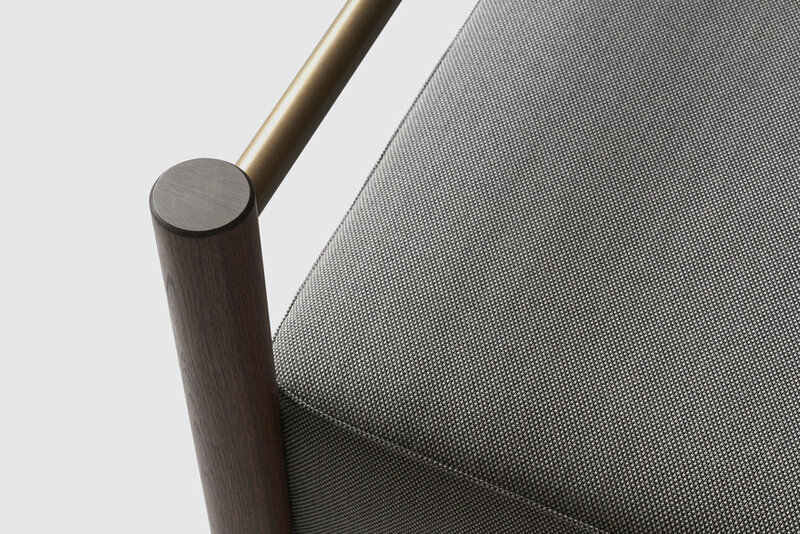 The brass is brushed, the walnut is only lightly oiled, and the fabric is chosen in subdued colors of the finest quality. 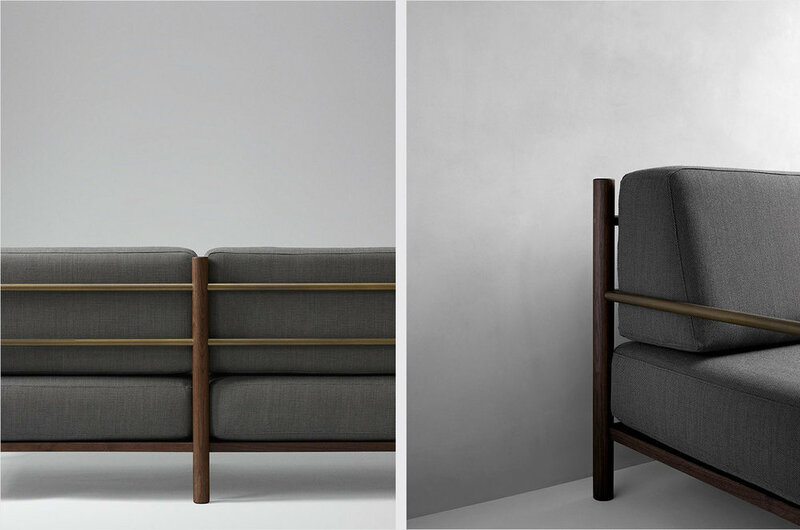 Everything is immaculately crafted by Wendelbo, makers of high-end furniture since 1955. Fulton is named after the lower Manhattan street that spans from the East Side to the Freedom Tower, connecting the old and the new world, which is also the aim of the Fulton design. Fulton is not currently in production.